Midwest Autoworx is the best choice for Scion service in Boonville and Columbia. Why? Our dedication to the safety of you, your passengers and your Scion is unrivalled in the community. Our auto mechanics perform a thorough 33 point inspection, along with a complimentary check engine light and brake examination. James Copeland, the owner of Midwest Autoworx, truly loves what he does. In fact, he even drive the shuttle so he can check in with you and update you on the progress of your Scion. He and his team of auto mechanics don’t shy away from the trickiest of problems, as they enjoy the challenge. The saying, “If you love what you do, you’ll never have to work a day in your life,” is especially true for James and his team. “Sincerely one of the most honest auto shops in the state. We moved from Texas and was concerned we wouldn't find a shop like we had but they consistently have been more than fair and very knowledgeable. They have gained a loyal customer, there really is no reason to go anyplace else.”-- Garrett D.
At Midwest Autoworx, we don’t just want you in and out and on your way. We intend to be your go-to auto repair shop for as long as your vehicle is on the road in Boonville and Columbia, and with us on your side, we think that will be for quite a long time. 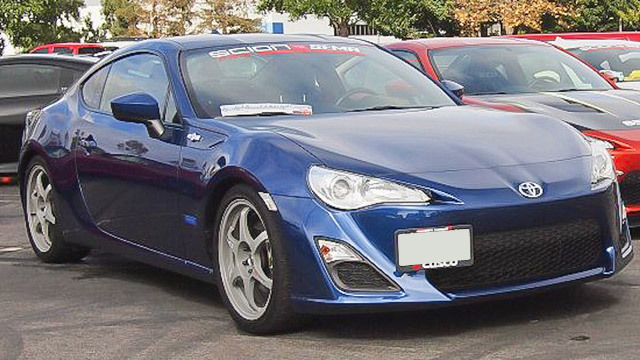 Our auto mechanics can service and repair all makes and models of vehicles, and your Scion is no different. We are located at 2001 Rangeline Street in Columbia, MO 65202 and 1300 W. Ashley Road in Boonville, MO 65233. Call Midwest Autoworx to learn more about service for your Scion or schedule an appointment online.